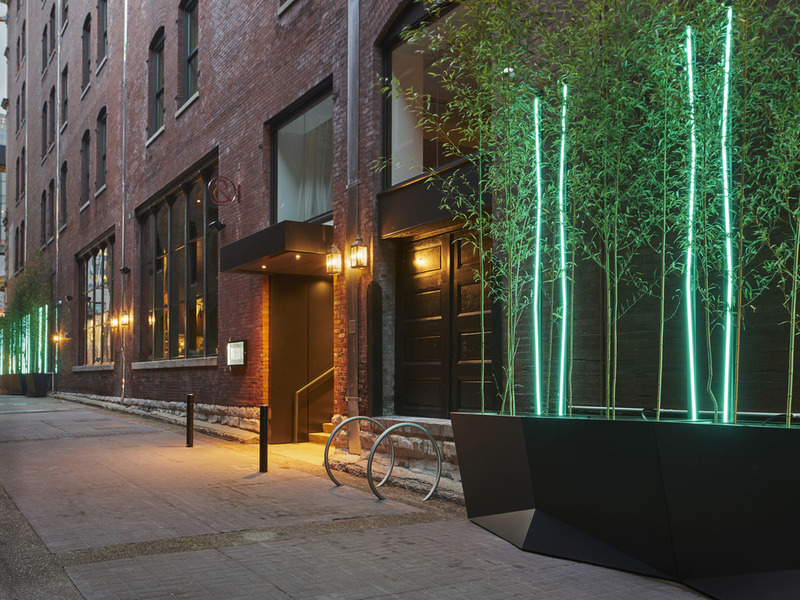 21c Museum Hotel Nashville - MGallery is woven into the fabric of downtown, welcoming both visitors and locals to enjoy the curated exhibitions, cultural programming, and culinary offerings at Gray & Dudley. Just a few blocks from Nissan Stadium, Bridgestone Arena, and the entertainment along Broadway, 21c is an art-filled escape from it all. Experience the art of today at one of the largest multi-venue contemporary art museums. Feeling stressed? Let 21c Nashville knead your troubles away. The 124 guest rooms and suites at 21c Nashville serve as a sanctuary from the art and activity that fills the galleries and vibrant spaces in and surrounding the property. Designed by Deborah Berke Partners, the guest rooms have wood floors and high ceilings, contemporary furnishings, large windows, and luxurious floor-to-ceiling drapery. Celebrating Southern sensibilities, the menu at Gray & Dudley is a reflection of executive chef Rob Newton's Arkansas roots, informed by his travels abroad and influenced by the diverse immigrant communities across the region. Gray & Dudley Bar offers carefully selected spirits, original seasonal signature cocktails, and an award winning wine list.